We specialize in creating a custom landscape solution that fits your personal style and improves the functionality of your outdoor spaces. 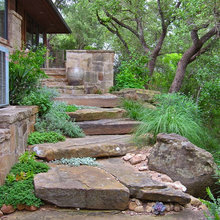 We use natural and pre-cast stone, water features, landscape lighting and planting to achieve your dream property. 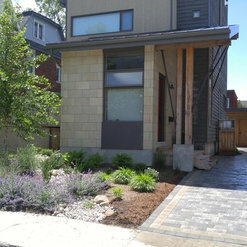 4 Projects for Ardron Landscapes Inc.
3 Reviews for Ardron Landscapes Inc.
Keith and his team did a fantastic job the landscaping of our front walkway. 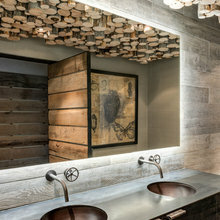 Keith's design was just what we were looking for in terms matching the aesthetic of our home and ease of maintenance. His crew was professional and their craftsmanship was superb! 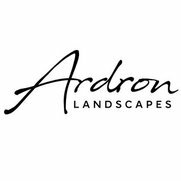 We do business regularly with Ardron Landscapes. They purchase excellent quality material from us, which accurately reflects the company overall. We appreciate how prepared Keith is. He anticipates and plans ahead to allow the required time for custom orders to arrive. I had the good fortune to be introduced to Keith Ardron in the fall of 2014 by one of my neighbours. My front and back lawns were not only a mess but they were also sloping to my house and not away from it which could turn in to trouble. Keith came to take a look and said that he could repair the lawns. 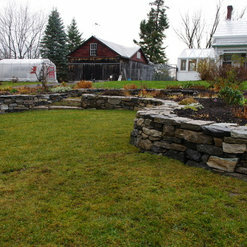 As we were talking I also asked if he could build me a garden curb for the garden along the back of the house and I pointed out how I was unhappy with my patio and the weeds growing between the stones, he said there was a product available that would help deter that problem. The work was slated for the following spring. My next door neighbour and I decided that we would have our fence replaced and she met with Keith about the fence. The following spring Keith arrived on the agreed to day and started working. He removed the grass from the back and made the grade slanting away from the house. He even removed a tree stump that I had in the yard which was an unexpected bonus. After the yard was graded he put new topsoil down and then seeded the yard. Originally I had requested all seed, but after re-thinking about our dogs I asked Keith if he could put down sod on part of the lawn and he did. This flexibility was very much appreciated. Next was the garden curb, which turned out really nice. 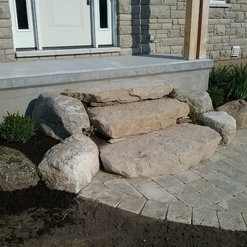 Last was the patio, he lifted all of the stones, put down a new base with gravel and filter fabric, re-installed the stones and added a new border of stones plus the addition of polymeric sand. The patio turned out really really well. Keith and his crew of 1 sometimes 2 people were always on time, even on one day when it was raining they were still working away. They were very pleasant and they did not leave garbage on my lawn. The front yard work was not extensive, it consisted of putting topsoil on spots that were low and grass seed. Next came the removal of the side fence. Because I have dogs, Keith put up a temporary barrier so the dogs could go out in the yard without escaping. Keith was given the go ahead by my neighbour to design the fence. When I was shown the design I was very pleased. 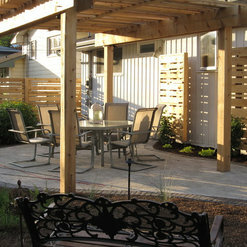 The fence boards were placed horizontally not vertically and there are gaps between the boards. This fence is perfect for my neighbours and I because of our relationship (which Keith was aware of), my neighbours enjoy my dogs and this way they can see the dogs, the dogs can see them and it is easier to pet the dogs. I realize that this may seem a bit odd but it is not odd for us at all. The workmanship on the fence is wonderful. Keith gave us matching gates, which again my dogs enjoy as they can watch people going by on the street. The work was done on time and on budget. I have no complaints and would not hesitate to recommend him and I have already done so. The entire experience was so great that Keith is coming back next month to remove my hedge and install a fence on the other side of my property. The fence will not be open as that side of my property is on a path but it will compliment the fence. Keith is also going to fix my pond which I am really looking forward to. 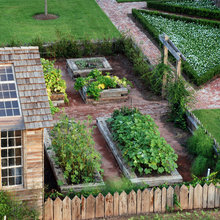 5 Ideabooks for Ardron Landscapes Inc.